Twelve spots were newly inscribed onto the list of national-level archaeological site park, which was released by the State Administration of Cultural Heritage (SACH), on Saturday. New entries reflect crucial historical moments in China through large-scale relics, including Shanglinhu Yue Kiln site in Cixi, Zhejiang province, Middle Capital site of Ming Dynasty (1368-1644) in Anhui province, and Weiyang Palace ruins dating back to Western Han Dynasty (206 BC -25 AD) in Xi'an, Shaanxi province. 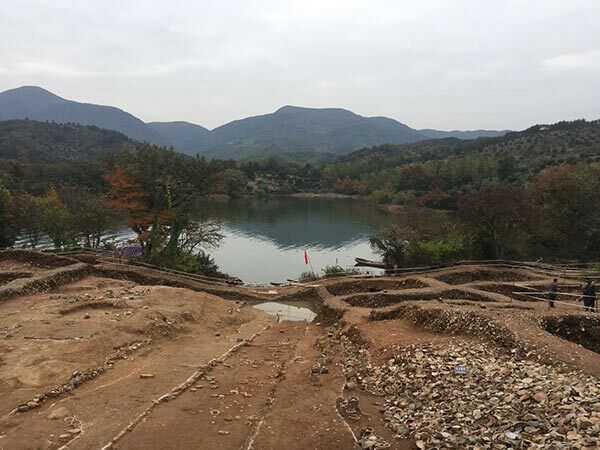 In China, the national-level archaeological site park refers to those key archaeological sites which are accessible for education, scientific research, and tourism. In 2010, SACH released the first list of such parks. The previous entries include some well-known sites such as Old Summer Place and Mausoleum of Qin Shi Huang. SACH also organized a national meeting in Cixi on Saturday to explore more scientific development of the parks in the future balancing between urban construction and archaeology.